Is Gaelscoil cairdiúil í Gaelscoil Eiscir Riada ina bhfuil oideachas den chéad scoth ar fáil. Idir foireann agus tuismitheoirí, oibrímid le chéile chun ár ndícheall a dhéanamh d’aon pháiste a thagann isteach chugainn. Tá an t-ádh liom bheith mar Phríomhoide anseo mar go bhfuil pobal na scoile ag iarraidh an sprioc céanna a bhaint amach le chéile- Foghlaim ghníomhach, leathan, spraíúil trí mheán na Gaeilge. Tá foireann oscailte bríomhar againn a bhíonn ag cur le foghlaim na bpáistí i slite difriúla a aithníonn difríochtaí ár bpáistí. Tugann siad Oideachas iomlánaíoch do na páistí le spórt, ceol, drámaíocht, Eolaíocht srl. Tá Coiste na dTuismitheoirí gníomhach againn chomh maith. Cabhraíonn siad leis an scoil in alán bealaigh- Imeachtaí scoile, maidin caife, ag có-oibriú ar phleanáil/polasaithe srl, ag tiomsú airgid ar son na scoile, gairdín scoile srl. Tá Bord Bainistíochta láidir againn a dhéanann bainistiú ar rith na scoile agus a thacaíonn liomsa mar Phríomhoide cinntiú go bhfuil foirgneamh sábháilte glan againn don fhoireann agus do na páistí agus go bhfuil foireann iontach againn ag obair ar son leas na bpáistí. Dar ndóigh, ‘sí an Ghaeilge teanga na scoile agus úsáidimid gach deis chun an teanga agus ár gcultúr a cheiliúradh. Is í Seachtain na Gaeilge gach bliain buaicphointe na scoilbliana! Bíonn thart ar 10 lá craic agus spraoi againn ó Naíonáín go Rang a 6 le imeachtaí speisialta, cuairteanna ó Naíonraí agus scoileanna eile, turais, céilithe, duaiseanna agus ceiliúradh! Tá dhá bhrat glas bainte amach ag an scoil go dtí seo agus táimid ag obair ar an mBrat Gníomhach faoi láthair. Bíonn seachtain gníomhach againn go bliantúil ina mbíonn alán imeachtaí gníomhach ar siúl ag na páistí. Tá réimse leathan ICT againn sa scoil idir ríomhairí deisce, glúine agus iPads. Úsáidtear na háiseanna ICT chun cur le foghlaim na bpáistí i mbealach gníomhach. Tagann dhá rang nua Naíonáin isteach gach Fómhar agus is breá linn an tús nua a fheiceáil gach bliain. Tagann roinnt páistí nua chugainn i ranganna eile freisin agus cuireann siad leis an scoil lena gcuid taithí scoile féin. Fáilte go dtí ár suíomh agus tá súil agam go mbaineann sibh taitneamh as! 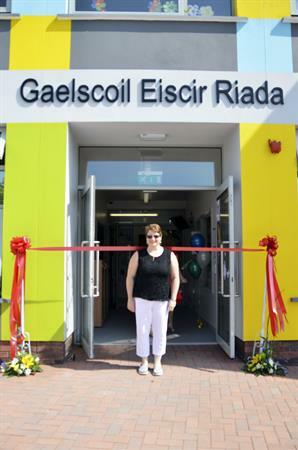 Gaelscoil Eiscir Riada is a very friendly gaelscoil which provides education of the highest standard. Together, our staff and parents work together to do our best for every child in our care. I am privileged to be Principal in a school where everyone works together to achieve the same aim- to have our children learn actively to achieve a wide, fun education through Irish. We have a lively open staff who encourage the children to learn while recognising our children’s individual needs. They provide a holistic education with sport, music, drama, science etc. Our Coiste na dTuismitheoirí (Parents) are very active in and for the school. They help the school in many ways- School events, coffee mornings, working with us on planning/policies, fundraising, school garden etc. We have a strong Board of Management who manage the running of the school and who support me as Principal to ensure we have a safe, clean learning environment for the children and staff, and also ensure that we have a vibrant enthusiastic staff all working for the children’s welfare. Gaeilge (Irish) is the language of communication throughout the school and we take every opportunity to celebrate our language and culture. Seachtain na Gaeilge is the high point of our school year! We have approx.10 days of fun and games from Junior Infants to 6th class with many special events, visits from Naíonraí and other schools, céilís, prizes and high jinks! As a green school, we have got 2 green flags so far. This year we are going for the Active School Flag. We have an Active School week each year where keeping the children active and moving is our main aim. We have a wide range of ICT equipment in the school, from desktop computers and laptops to iPads. These ICT resources are used to enhance the active learning we encourage. 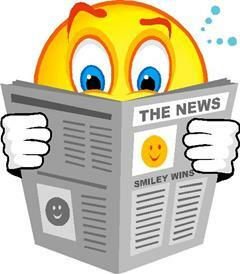 We welcome 2 new Junior Infant classes each Autumn and we love the new fresh start each year. We also welcome children into other classes through the school as their school experiences complement ours. Welcome to our school website and I hope you enjoy it!